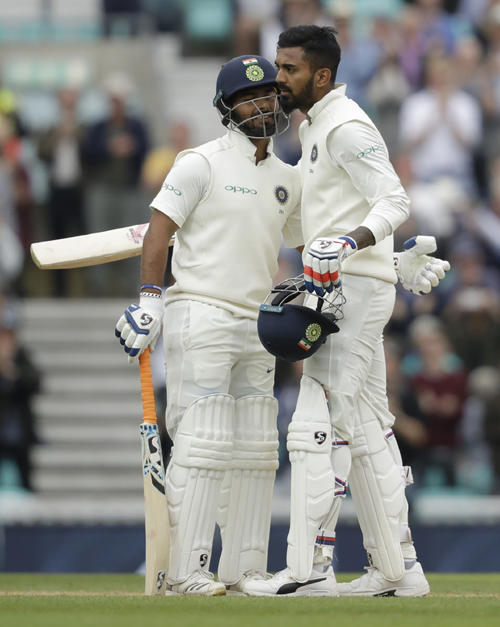 The 5th and final Test between India and England at the Oval had no significance considering the outcome of the series, but it turned out to be one that had a few historical moments. Those precious moments were what made the match an exciting one to watch. There was a buzz to this series solely because millions of fans expected India to come back victorious. This, therefore, created a greater awareness about the importance of the conventional form of the game and the Test cricket did get its moment of glory. The game of cricket never ceases to amaze me. Alistair Cook, having failed miserably in the four earlier Test matches was got an opportunity to make an honorable exit from the Test cricket. He decided to retire rather than subjected to be dropped from the team, which he had captained as well. The approach to his farewell match was without the pressure of performing to survive. His truly remarkable career ended with a magnificent century, a fairytale goodbye to one of the greatest English batsmen and a true ambassador of the game of cricket. Another great celebratory occasion during the Test was James Anderson’s marvelous achievement. He is currently one of the best bowlers in the world. He needed just 1 wicket to become the highest wicket taker. He finally achieved this feat when he bowled Md. Shami to capture his 564th wicket. A remarkable achievement for a fast bowler, who still looks fit enough to continue and torment batsmen around the world. India too had some wonderful moments. There have been many incidents in the past where players were given a last opportunity to prove themselves. K L Rahul and Rishabh Pant for India, were two such players who fortunately redeemed themselves with centuries which may have saved them from a certain guillotine. Both of them are talented youngsters and exciting players to watch. But they had in the recent past fallen prey to exuberant stroke-play and excitable temperament. They did give India a glimpse of hope for a victory in the final Test, while chasing a formidable target of 464 runs. But it was an uphill task. England, on the other hand, felt they had the match well within their grasp, especially when they captured 3 early wickets and another 2 of the top Indian batsmen with the Indian score at 121 runs. A victory was at their doorstep and that is when one felt they took their foot off the pedal. Ben Stokes with a barrage of short pitch deliveries on a slow wicket decided to buy a wicket by enticing the batsman to make a false shot rather than to earn it in the way he had done on previous occasions. The bowling changes and the field placements of the English captain Joe Root was quite puzzling at times and the air of lethargy could be seen in the approach of the English team on the field. My thoughts went back to the famous chase at the Oval in 1979, when India fell short by just 8 runs chasing 438 runs. Although the match finally ended in a draw, India could have won it, if the umpiring was not biased. The complacent approach of the English team under the captaincy of Mike Brearley in 1979, looked identical to the manner in which the team was behaving nearly 40 years later. Rahul, who looked completely out of form and technically inept to face swing bowling till then, decided that attack was the best policy and with a few streaky shots got into his groove to show every bit of talent that he possessed. Pant, on the other hand, looked like a youngster who needed some more time to play in the big league, especially as his wicket keeping was shoddy. He decided to change and play with a carefree attitude which finally got him a quick-fire century. The glimmer of hope maybe a win and if not, a draw when Rahul and Pant were at the crease. Unfortunately, India once again failed and a 4-1 series defeat was the disastrous outcome of the 5 Test series. One was surprised at the attitude of Virat Kohli, who did not seem to be perturbed about the result at the press conference. He felt that the series was closely fought and that his side had the opportunities, which is normal in a two-sided contest and that they failed to take advantage of it. One quite marvels at his positive attitude, but India were far from brilliant on the field and losing so badly to a side way below them in the Test ranking, definitely did not augur well. This brings to mind the present approach of an Indian cricketer. He does not seem to worry about failing in Test. The IPL and the limited over matches will keep him in the limelight and give him a chance to get back. Earlier, if one failed, one got relegated to playing domestic cricket and making a comeback was not easily possible. The value of a Test place was therefore very important. The cricketer today is very fortunate as retaining his place in the Test is not a back or bank breaker. This has become a cycle that needs to change. Test cricket needs to be recognised as the premier form of cricket. One hopes that the Test Championship, to be shortly introduced by ICC, gets more importance than the limited over World Cups.